Compete in the NGA ProAm Kentucky Natural Classic! Compete in the NGA Western Kentucky Natural! Lexington, Kentucky. 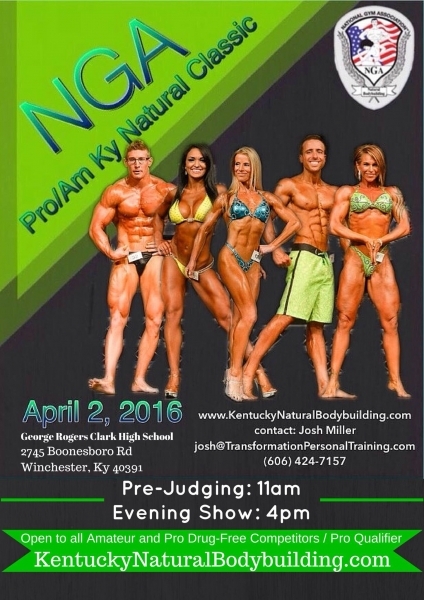 Compete in the NGA Pro Am Bluegrass Bodybuilding Championships! Winchester, KY. 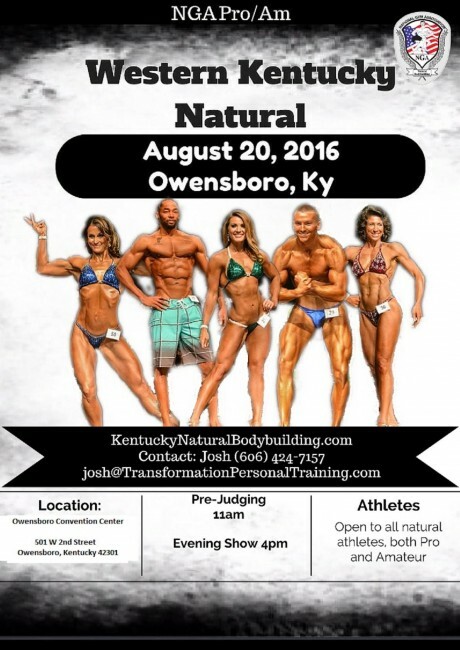 Compete in the NGA Pro Am Bluegrass Bodybuilding Championships! Lexington, Kentucky. Compete in the 2017 NGA ProAm Kentucky Natural Classic! Elizabethtown, Kentucky. Compete in the ONE World United NE SW Classic Super PQ! Louisville, Kentucky. Compete in the 2017 OCB Louisville Showdown! Owensboro, Kentucky. Compete in the 2017 NGA ProAm Western Kentucky Natural Classic! Lexington, Kentucky. Compete in the 2017 NGA ProAm Bluegrass Bodybuilding Championships! Lexington, Kentucky. Compete in the 2018 NGA Pro Am Kentucky Natural Classic. Florida. Compete in the 2018 NGA Abraham Fitness Championship. Lexington, Kentucky. Compete in the 2019 NGA Pro Am Kentucky Natural Classic.